Provide comfort for the family of Roy Guyer with a meaningful gesture of sympathy. 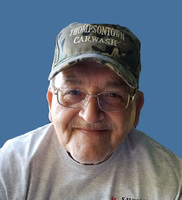 Roy R. Guyer, 75, of Mifflintown, passed away at 8:10 AM on Saturday, February 23, 2019 at his residence. Born on May 16, 1943 in Delaware Twp., Juniata Co., he is a son of the late Paul LeRoy and Anna Mae (Spece) Guyer. On April 17, 1964, he married his first wife, Patsie L. (Arnold) Guyer with whom he was blessed to share over 30 years of marriage before her passing on June 15, 1994. On September 30, 2000, he married his surviving wife, Peggy A. (Adams) Guyer, with whom he was blessed to share over 18 years of marriage. Mr. Guyer was a 1961 graduate of East Juniata High School in Cocolamus and was employed and retired as a Lead Man with the former Triangle Pacific in Thompsontown. In earlier life, Roy enjoyed drag racing, hunting, raising his beagles, being in the outdoors, gardening, and going to the flea markets. In addition to his wife, he is survived by his children, Tina M. Stuck and her husband Steven of Lewistown and Troy R. Guyer and his wife Vicky of Selinsgrove; two brothers, Nolan Guyer and his wife Audrey and Earl Guyer, all of Thompsontown; five grandchildren, Justin Stuck and his fiancé Sydney Lewis, Sabrina Stuck, Halie Mull, Alexis Guyer, and Brook Reichenbach; one great-grandson, Cooper Mull; and one great-granddaughter, Adyson Stuck. In addition to his parents and first wife, he was preceded in death by a brother, Donnie Guyer, and a sister Teenie Benner. A Celebration of Life will be held at 11:00 AM on Thursday, February 28, 2019 at the Brown Funeral Homes, Inc., 111 Westfall St., McAlisterville with the Rev. Dan Rockwell officiating. Interment will follow at the East Salem Cemetery. A closed casket visitation will be held on Thursday, February 28, 2019 at the funeral home from 10 AM until the time of the funeral services at 11 AM. To send flowers in memory of Roy R. Guyer, please visit our Heartfelt Sympathies Store.